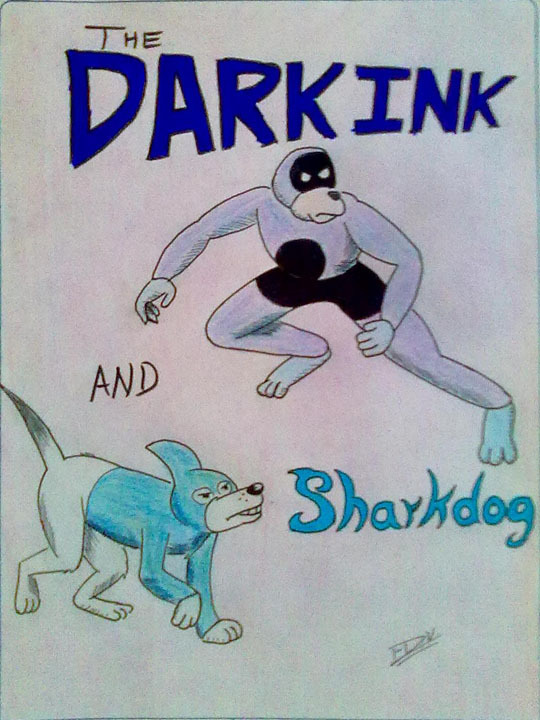 Karlos draws the heros Dark Ink and Shark Dog! I was thrilled to find this fan art by long time commenter Karlos in my mail. I really love his take on the Dark Ink and Shark Dog. I also find the soft colours he used really nice for the picture. Thanks Karlos it’s really cool. Wow, this is great! Even the cool lettering too 🙂 Bravo!